The CNN host was one of many stars to praise Michael, who lost his battle with liver disease, and took on Twitter to express his sadness. 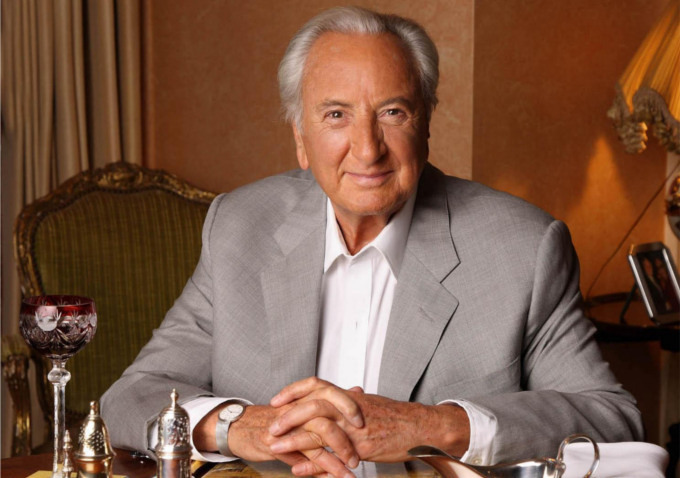 He wrote on his account: "Very sad to hear Michael Winner has died. Hilarious, often proposterous, always generous, highly intelligent man. And terrific writer. RIP. [sic]"
Comedian John Cleese made a post on his website about Michael, who passed away aged 77, describing him as a kind and dear friend. The former 'Monty Python' star said: "He was the dearest, kindest, funniest and most generous of friends. I shall miss him terribly." Lord Andrew Lloyd Webber offered his thoughts on the former newspaper columnist via his Twitter account. The famed composer wrote on the social networking site: "True originals come rarely in a lifetime. Madeleine and I will deeply miss you. ALW (sic)"
The 'Death Wish' director is survived by his wife, Geraldine Lynton-Edwards, who he married in 2011 - 55 years after first dating her. He revealed last year he had been given between 18 months and two years to live, and had looked into the possibility of assisted suicide, although he decided against it. He did state he wasn't scared of dying, a believer in a person's right to end their life once it was "no good for them". Michael said: "People should have the right to terminate their own life. I'm very happy to snuff it. I've had enough time on Earth. I'd be happy if someone gave me the plug to pull."